Around Christmas time it is all about having a laugh and a joke and enjoying yourself in the festive spirits and thats what we want to do for you today. There is a video going viral on social media that is a genuine mistake made live on air from presenter Derek Thompson, a leading commentator and presenter in the sport and everyone does make mistakes and it was not meant for any harm it was just one of those things that happen. 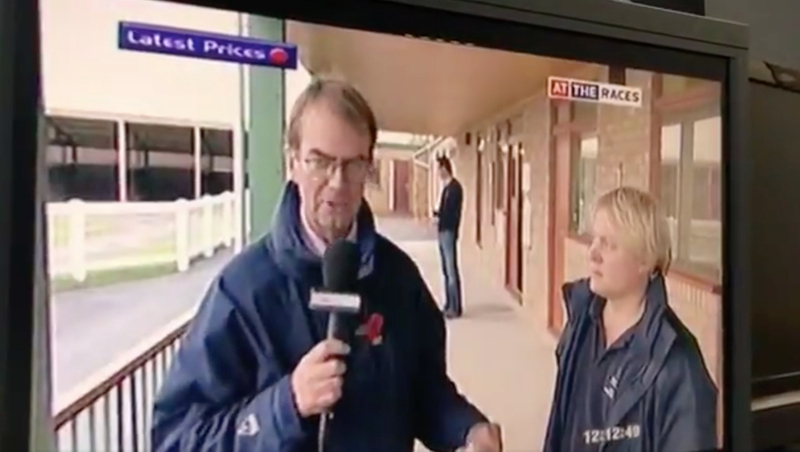 But going back some years now live on At The Races "Thommo" as crossing over live for a report from one of the correspondents at a racetrack and on his monitor things he is getting an interview with a lady when it is actually a man. It was a genuine error on his behalf with no malice meant at all, the problem is it is quite funny looking back as it is live on air and it really is embarrassing for the presenter. The racing commentator must have felt so awkward and wanting to not be live on At The Races but that is what live television is all about. Thompson has featured on numerous different racing outlets during his career having been on Channel 4 racing, obviously At The Races and he spent some time on Radio Five Live. The Yorkshire born man is now seen frequently at big race meetings around the country throughout the year, his main exploits come at the Cheltenham festival where he gives a talk about the days racing ahead. He will never forget this blooper in his professional career but it is always fun to look back on.